A few days ago, the first Time Fantasy graphics set was released. To celebrate, I shared some new charactersets. Here are the rest of them. Together that’s eight free new original characters that fit the Time Fantasy style. Enjoy. 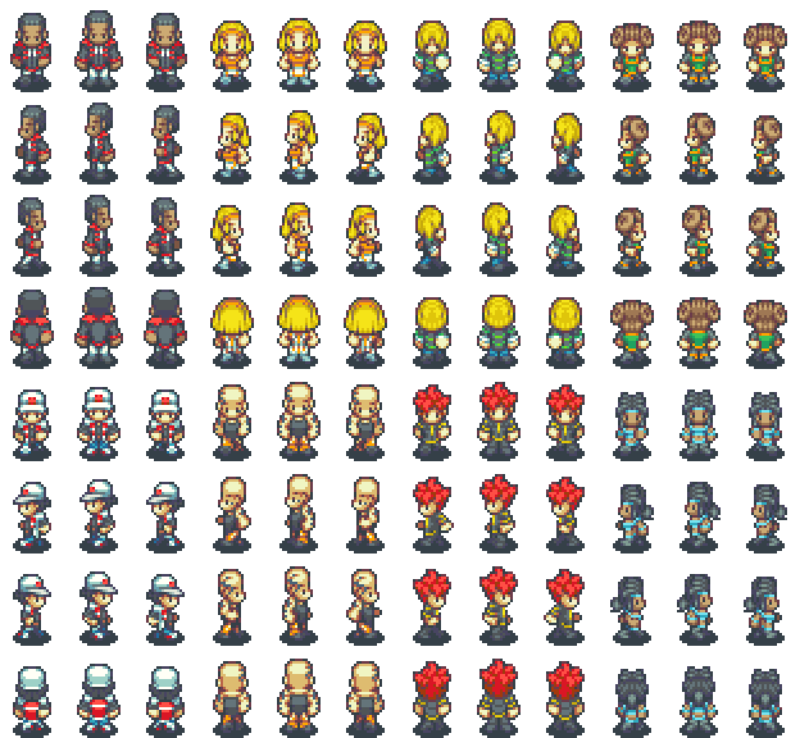 UPDATE: There’s also now a version for RPG Maker MV. Download here. Hey are you for hire? 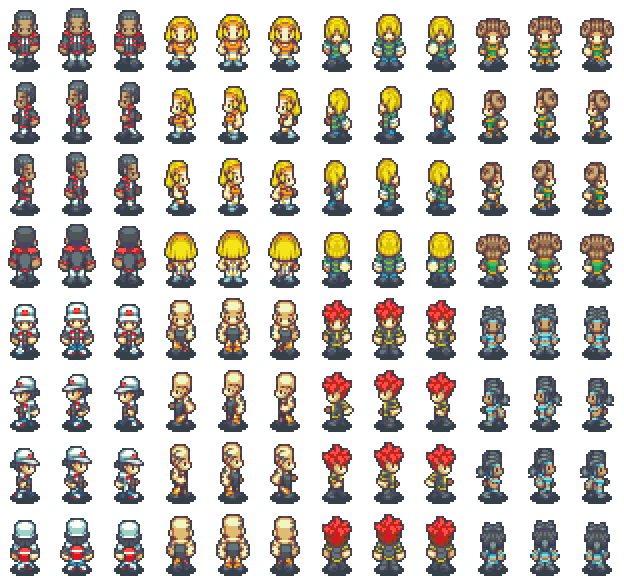 do you have a certain fee if someone needed some custom graphics in this style for rpg maker mv?